PeachTree Place Assisted Living Community understands that it can be a challenge for families to understand the difference and choose between a nursing home or an assisted living community. Nursing homes and assisted living facilities have many similarities, but there are also many important differences. Both nursing homes and assisted living communities offer seniors planned meals, activities and an opportunity to socialize. 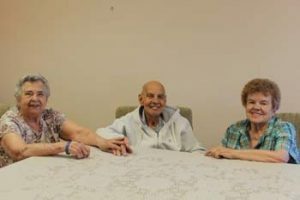 While nursing homes can sometimes feel like an institutionalized setting, our assisted living community has a much more homey feel and our residents live in their own independent living apartments. We offer both studio and one bedroom apartments. Our residents are encouraged to bring their own furniture, and decorations to create the same atmosphere as their home. Instead of feeling like a hospital, our senior apartments are all personalized and suited to each individual. While nursing homes offer little privacy because of constant medical attention, we respect the privacy of all of our residents whenever possible. At PeachTree Place Assisted Living Community, we are also proud to welcome pets and we invite you to bring your pet along with you. Nursing homes offer 24 hour, around the clock extensive medical care. If you or your family member has a serious medical condition that requires constant care and supervision, a nursing home may be the best option for your situation. Nursing homes are also be a better suited for people who are physically or mentally unable to take care of themselves and need much more hands on medical attention. Our assisted living community provides an on call 24 hour staff and an emergency call response system. Other services we offer are respite care, medication assistance and a foot care clinic. 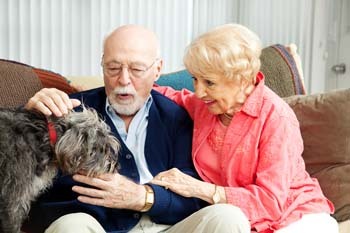 We also offer memory care services with secure facilities and a specially trained staff. Depending on health, a nursing home may be the best option, but if you or your loved one values privacy and independent living, we have your best interest at heart. PeachTree Place Assisted Living Community is a great alternative to a nursing home in West Haven, Ogden and surrounding areas. Contact us anytime and we would be happy to give you a free tour of our community. If you are interested in a nursing home alternative for your loved one living in West Haven, Ogden and surrounding areas, or have any questions regarding any of our services, please feel free to give PeachTree Place Assisted Living Community a call at (801) 682-4948.